We assembled at Woodlands MRT station in Singapore on a Friday evening, before setting off for Broga Hill by coach via Johor Bahru CIQ (checkpoint). After clearing JB immigration, it was a 4 hour overnight air con coach ride to Semenyih town (near Kuala Lumpur). We stopped briefly at Yong Peng town for toilet break and then slept comfortably all the way through to Semenyih. I tried my best to sleep as much as possible, so as to get enough rest for the long day and strenuous activities ahead. 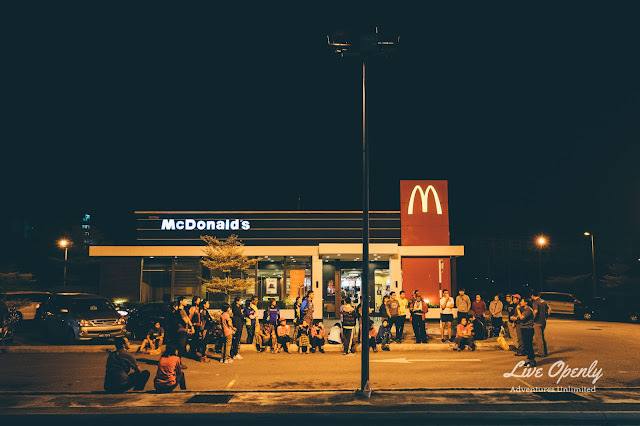 We arrived at the 24-hour McDonald's at Semenyih before dawn. 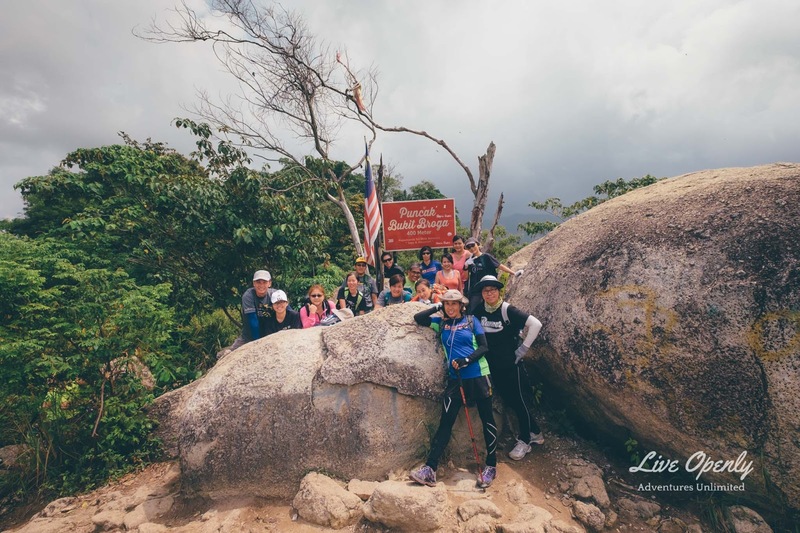 Here, we freshened up, had a simple Mc breakfast and a final brief by tour leaders Alice and Simon before ascending Broga Hill followed by Gunung Tok Wan. 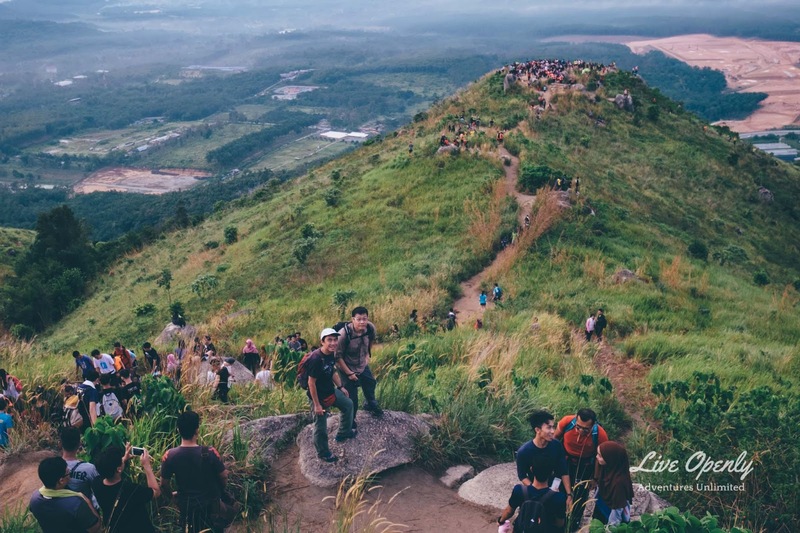 The locals also call Broga Hill, Bukit Lalang because it is quite bald except for tall lalang (a grass). The locals battled Japanese troops here during the Second World War (1942 - 45). 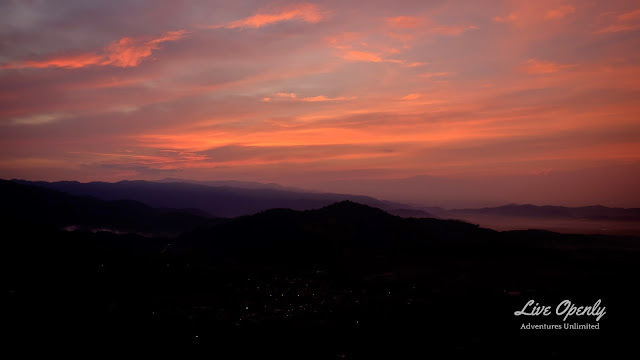 As we ascended Broga Hill, we caught the fiery looking sky at the break of dawn (though not the egg yolk). 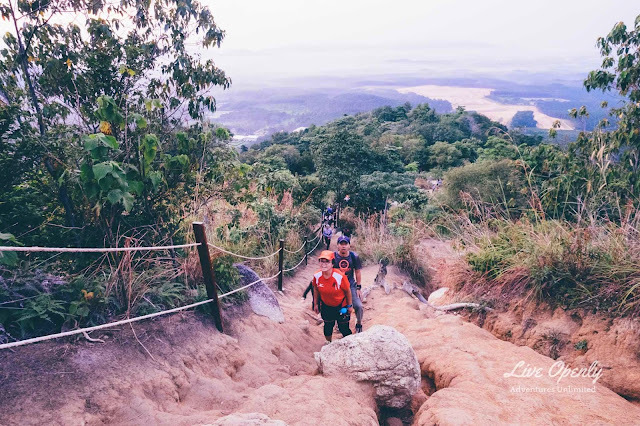 The climb up the barren slope of Broga Hill was taxing as it was rather steep. The ropes helped a lot, so do remember to bring along gardening gloves (to save your palms). There are a couple of points at Broga Hill where a little help from fellow trekkers can make all the difference. 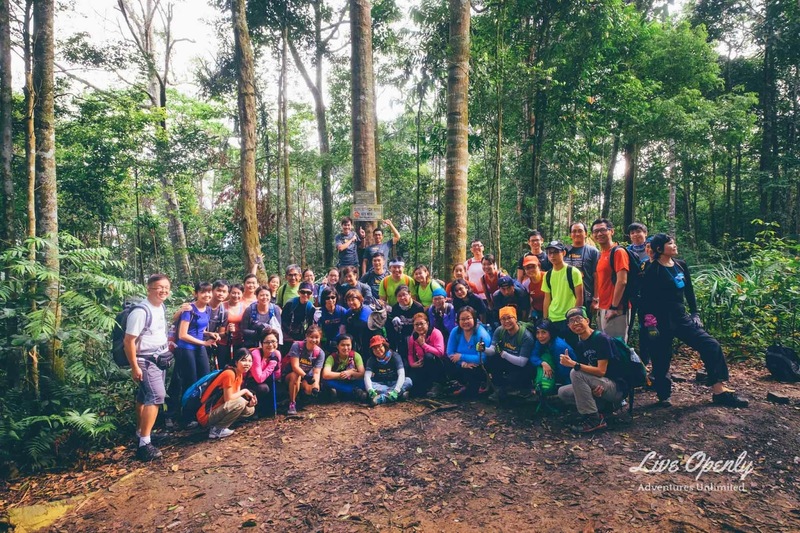 My personal experience is, trekkers always help one another. 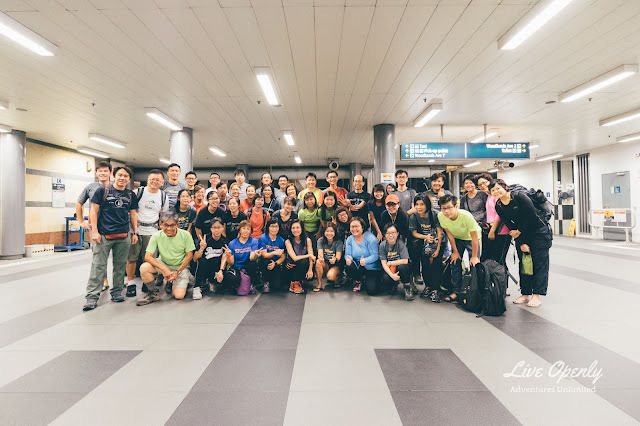 It's the trekkers' spirit. Broga Hill consists of several peaks which offer panoramic views of the Semenyih area (of Selangor state in Malaysia). After Broga Hill, we proceeded on to Gunung Tok Wan which is on the same hill ridge. 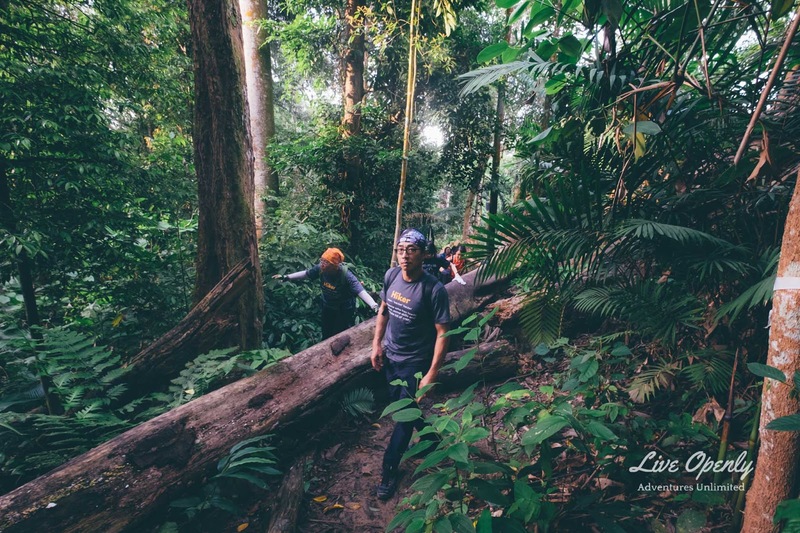 Whereas Broga Hill is barren, Gunung Tok Wan is typical rainforest terrain. Much of the sun is shielded off by leafy canopy. The tracks are leaf strewn and often have roots and large fallen trees laying across. 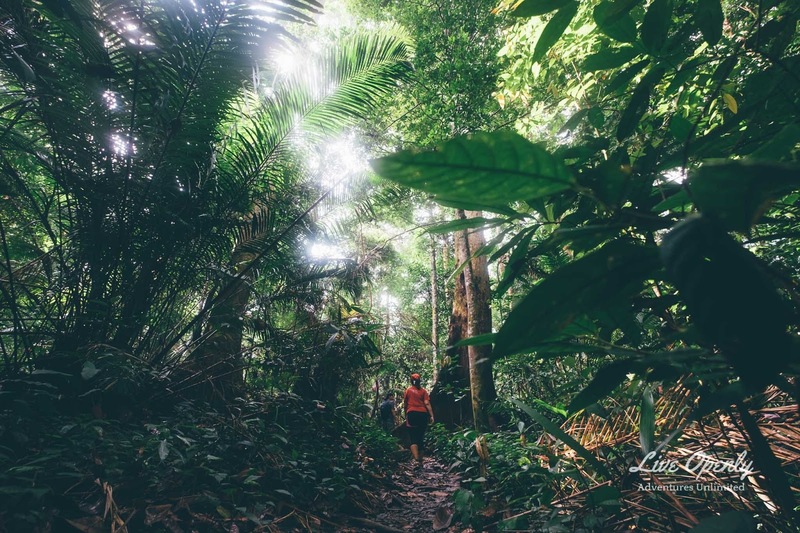 We can hear the sounds of the forests when we pause and pay attention to the "silence". 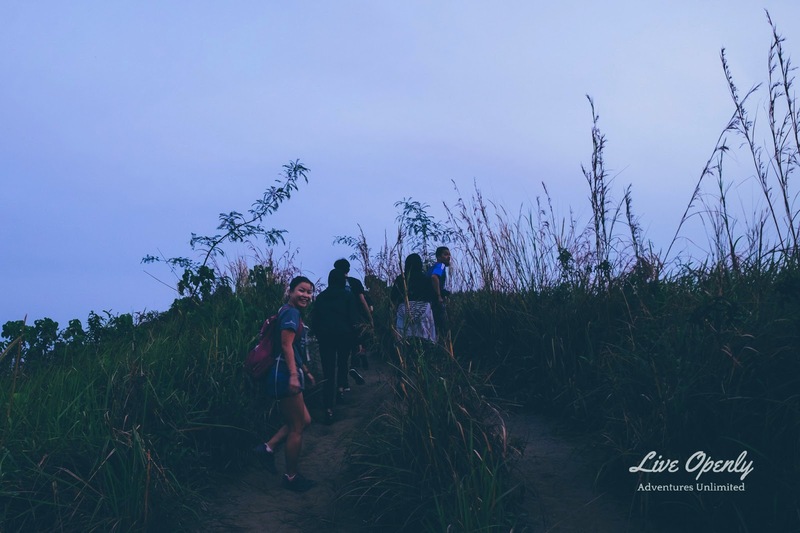 I enjoy trekking because it is great exercise. I get to sweat it out like in a sauna, and feel thoroughly cleansed and more alive after a hike in the forest. 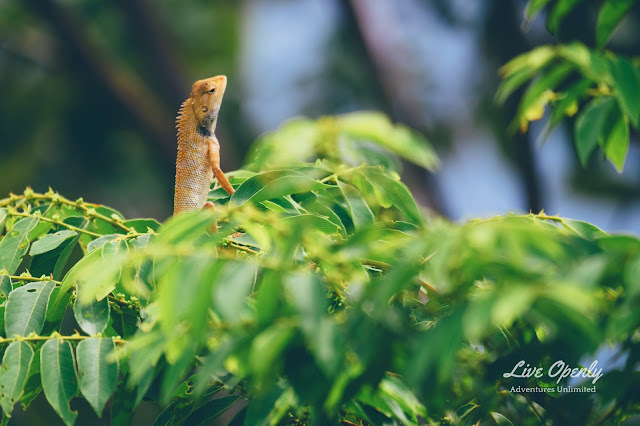 It's also a chance to re-connect with nature and a reminder that we are afterall, just creatures sharing this earth with other creatures. As city dwellers, we sometimes forget that. Trekking makes me more environment conscious and care about it's protection. I learnt to respect life more, including those that are not human. At the summit of Gunung Tok Wan, 675 metres above the sea. 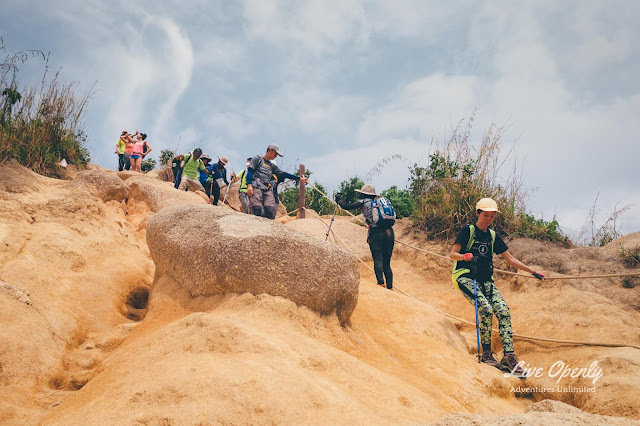 The climb down Gunung Tok Wan followed by the steep barren slopes of Broga Hill was rather challenging. When we were making our way down, it was parched dry, yet it was rather slippery. The ropes were knee savers. After the climb, we were hungry for lunch! 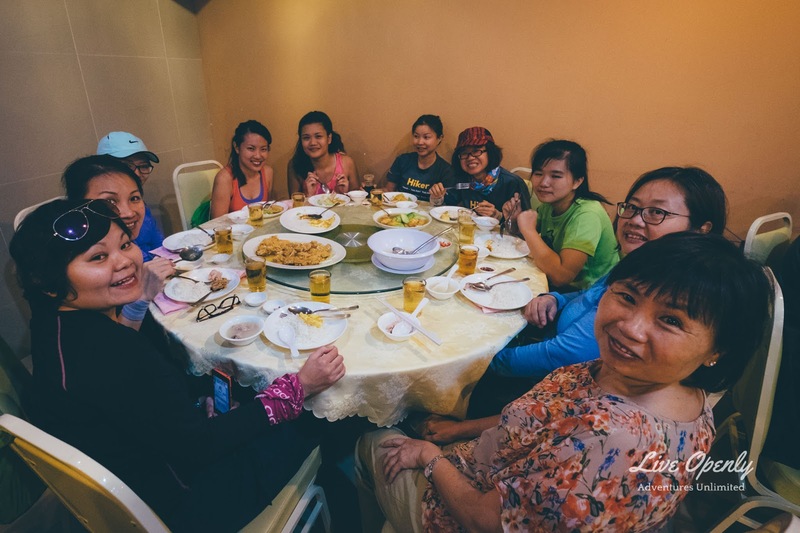 Our lunch was at Yip Sheng 日晟海鲜饭店 in Semenyih. By now, we were very hungry and ready for the sumptuous meal. Thanks to Joanna who brought us here and took good care of us till we leave Kuala Lumpur (the next day). 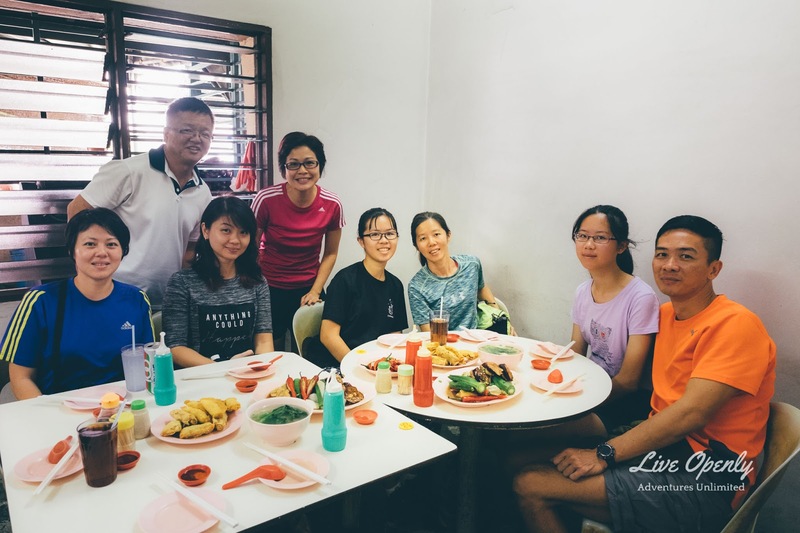 We had fried lemon chicken, Yip Sheng's signature fried duck, fish slices in soya sauce, egg fu yong omelette 芙蓉蛋, tofu with fuzzy melon 毛瓜, belacan kang kong and free flow of chicken soup. 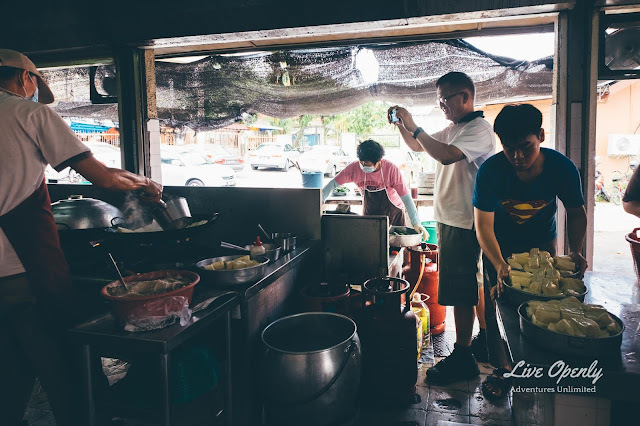 After lunch, we checked into City Edge Hotel, which is a comfortable shop lot boutique hotel conveniently located at the fringe of Kuala Lumpur in Taman Maluri. Check-in at City Edge was very well organised and we got into our rooms for a 🚿 quick wash pretty fast. There were even two lifts, and access to rooms is by coded security key card. Wifi works perfectly, as did the work station at the lobby. After the quick wash, we were on the road again, this time to nearby Kuala Selangor town at the foot of Bukit Malawati. 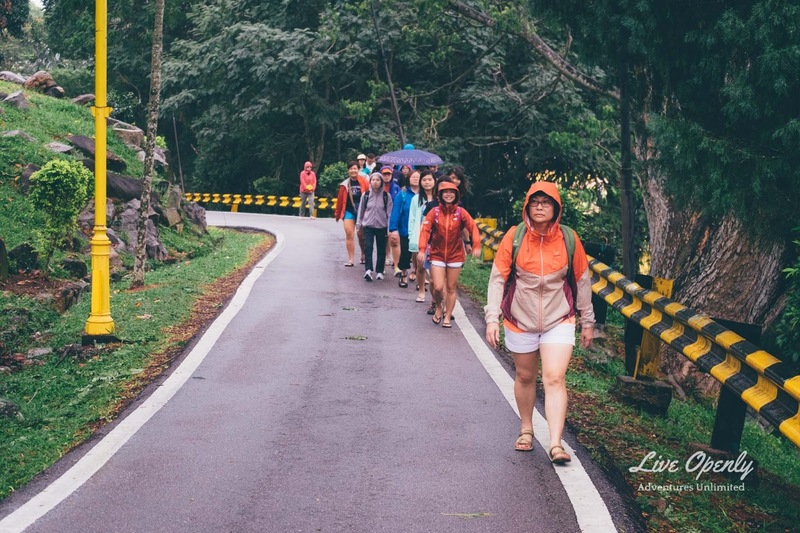 There was a slight drizzle as we walked up Bukit Malawati. 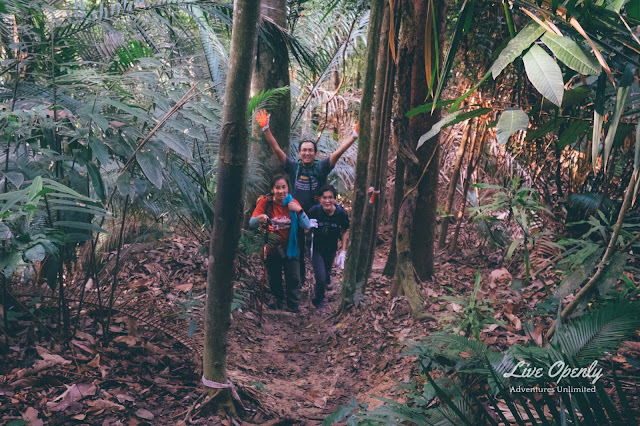 The historic Altingsburg Lighthouse at the top of Bukit Malawati, the highest point in Kuala Selangor. Built in 1907, Altingsburg Lighthouse is over a century old and it is named after Dutch Governor General Alting. 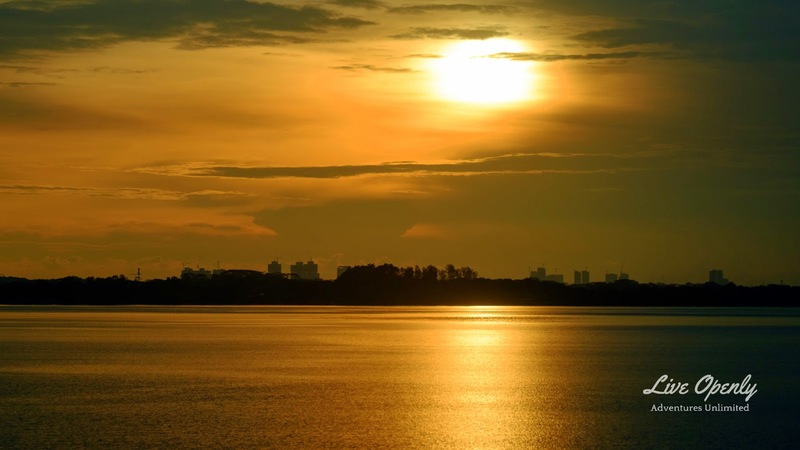 From here, we can see the Selangor coastline along the Malacca Straits, and the now silent canons that once defended it. Next stop, seafood dinner in Kuala Selangor. Doing the Singaporean thing before dinner - obligatory gift shopping for local products for the folks back home. There are several seafood restaurants with the Selangor River view here at Kuala Selangor. We had our dinner at Restoran Jeti 碼頭海鮮樓. Restoran Jeti looked like the local favourite, judging by the capacity crowd of all communities. Our dinner was sumptuous and scrumptious. We had steamed fish, chili crab, salted egg yolk prawn, mantis prawns, fried squid rings, crab soup, and stir fried Chinese lettuce. All of us enjoyed our dinner. 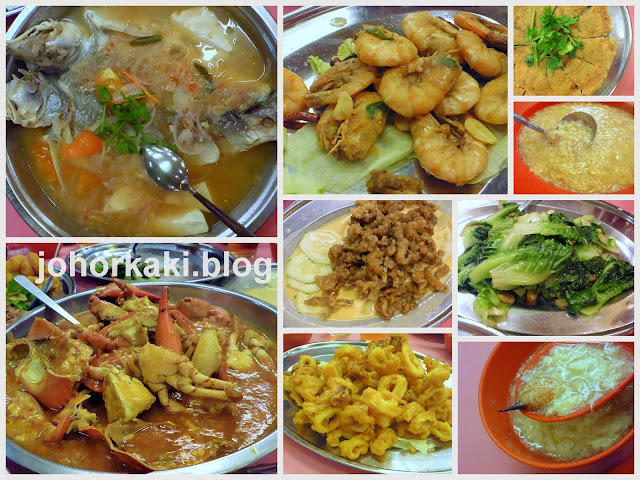 I have logged down Restoran Jeti for a future visit and detailed blog. 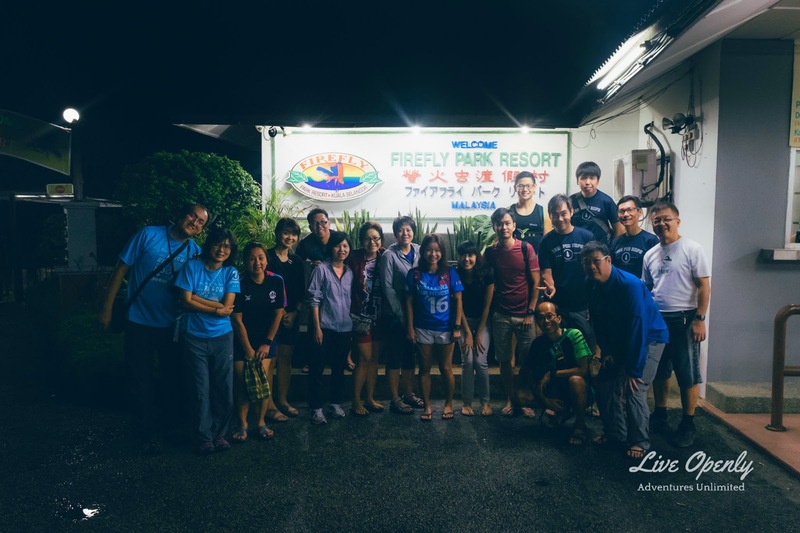 Stomachs filled and happy, our next stop was Kuala Selangor's Firefly Park. We went out on the placid Selangor River on silent electric motor boats to look at the fireflies. Sorry, there are not pictures as it was pitch dark so that we do not disturb the fireflies and can see them in their full splendour. Ever since my first trip here 20 years ago at the Firefly Park, they always tell me that "last time" have more fireflies. Actually, this time, we did get to see enough fire flies to make the trip memorable. We were told that more fireflies appear just after the rain, in the cool of the night. After the firefly park, it was time to return to the hotel. 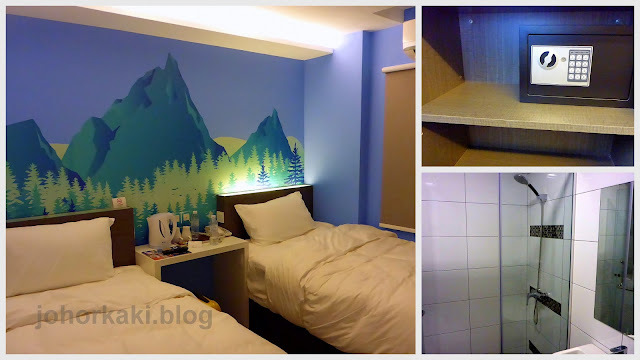 We rested the night at City Edge Hotel, which is a boutique hotel in Taman Maluri at the fringe of Kuala Lumpur. It was a very good choice as the beds were thick, spanking clean and with just the right bouncy firmness. Everything from air conditioning to bath facilities and wifi worked perfectly. There's also a safe to keep our valuables. Things which I wouldn't take for granted even in some 5-Star hotels. We got up to a bright sunny Sunday morning. There are several good choices for Malaysian style coffee and breakfast just a short walk from City Edge Hotel. I opted for something "light" - spicy tom yam seafood noodles. Then, it's back to City Edge Hotel to pack for the journey home to JB/ Singapore. 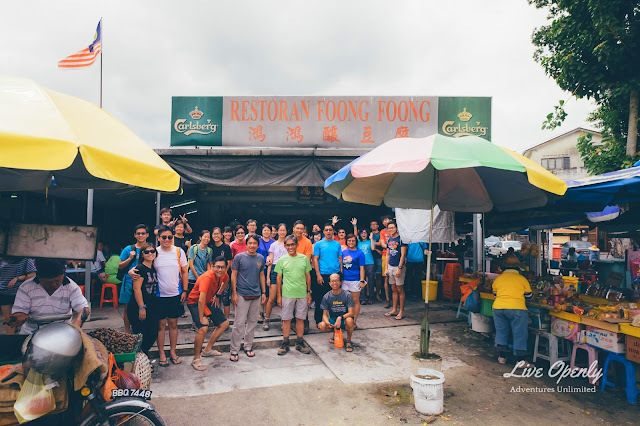 The Ampang yong tau foo at Foong Foong is really an experience. The yong tau foo are made with fresh vegetables and fish paste, and cooked on the spot at the restaurant. The restaurant was full house but turn over was brisk. All of us found comfortable seats to enjoy Ampang yong tau foo. 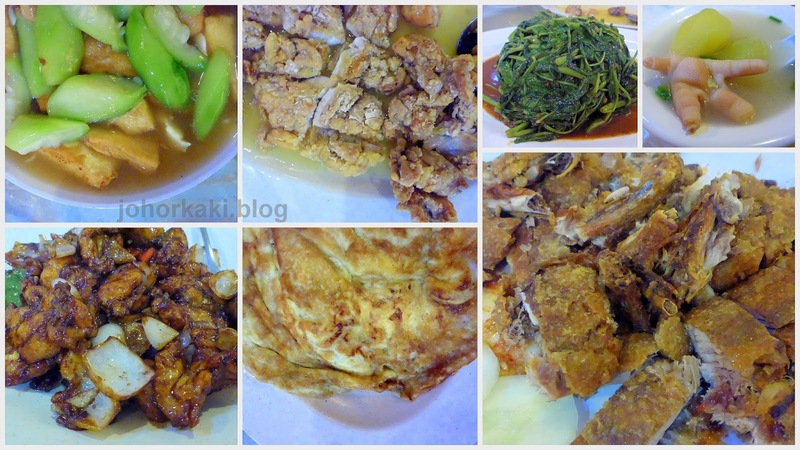 Not much changed at Foong Foong - the yong tau foo is still as good as ever, with just a slight increase in pricing over the past 2 decades since I first ate here. 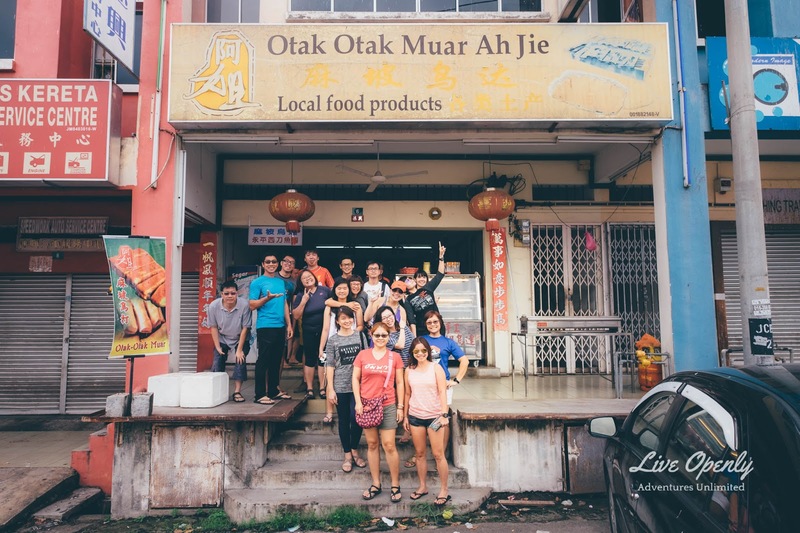 Our stomachs full, we were on our way back to Singapore via Yong Peng. Last minute gift shopping in Yong Peng town. The view of Johor Bahru as the coach crosses the Causeway as the sun sets. We were all tired yet energized for future treks with The Adventure Village. 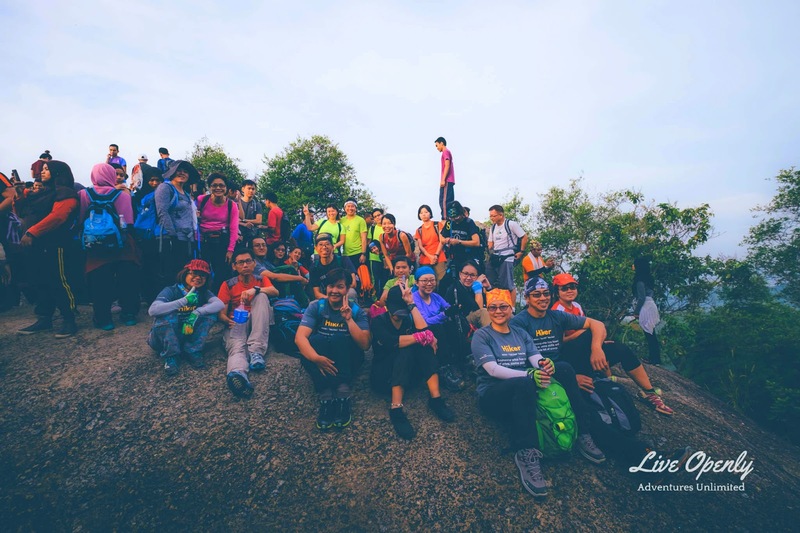 👍 This Broga Hill / Gunung Tok Wan trek was a truly great weekend short getaway. 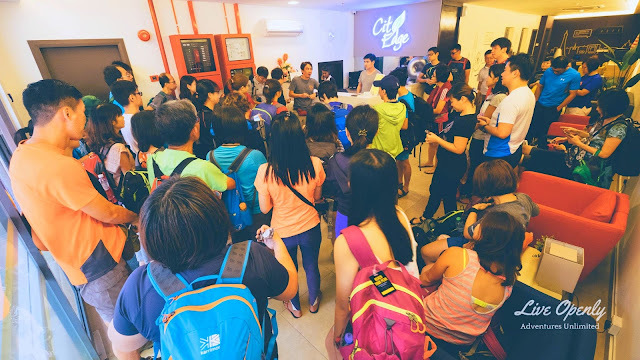 Many of us were already planning to join the next trip even before reaching back in Singapore. We had good food, great exercise, and the best company with like minded trekking enthusiasts and food lovers. A big Thank You to Simon and Alice of The Adventure Village for hosting the trip. 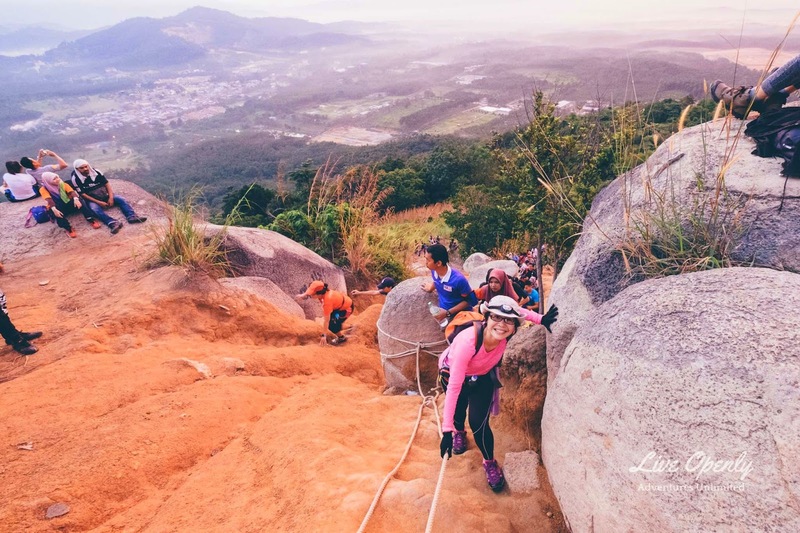 The Adventure Village regularly organises exciting trekking trips around Asia and beyond. 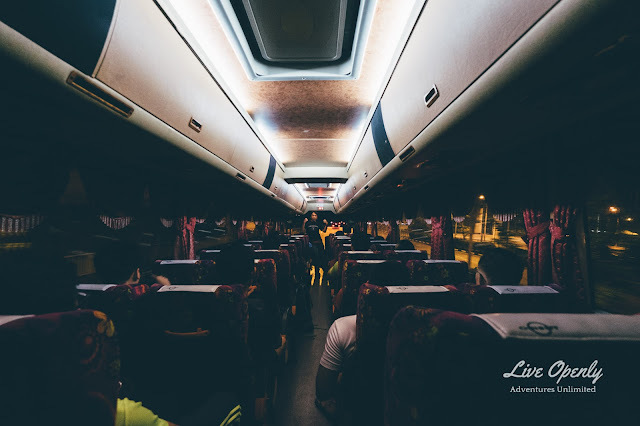 Do join Adventure Village Facebook Group to be updated on their upcoming trips. sounds like funs. wish i were there too.